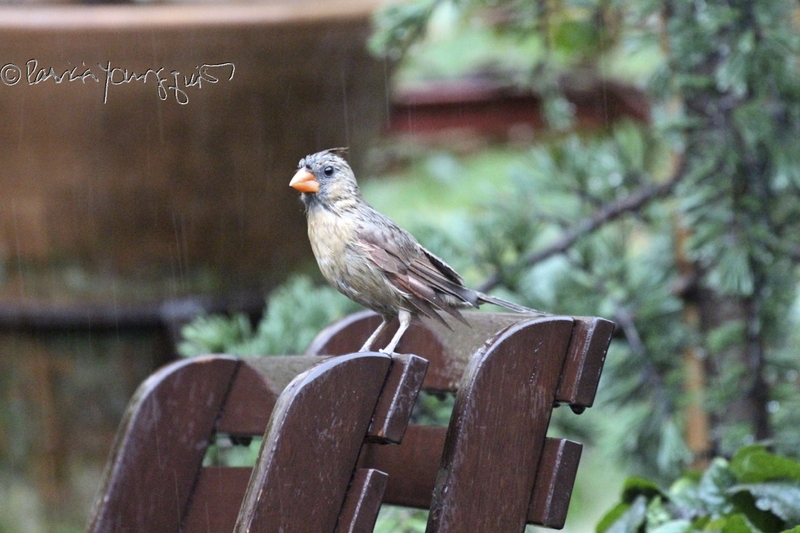 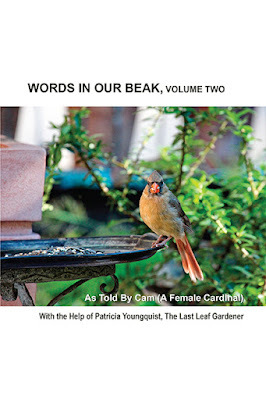 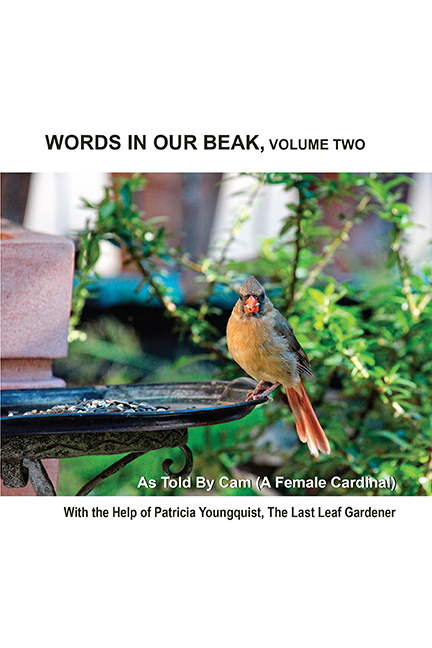 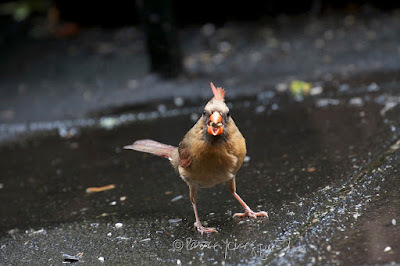 The Last Leaf Gardener: Rainy Days are FOR THE BIRDS! 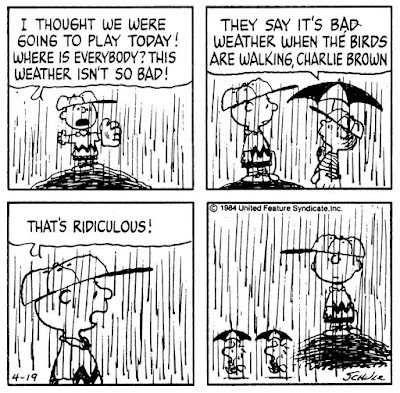 As far as I know, birds (other than the ones in the Peanuts comic strip atop this entry) never have to use an umbrella when the rain is falling. 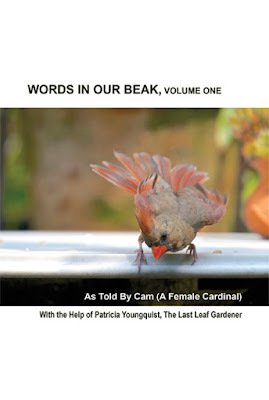 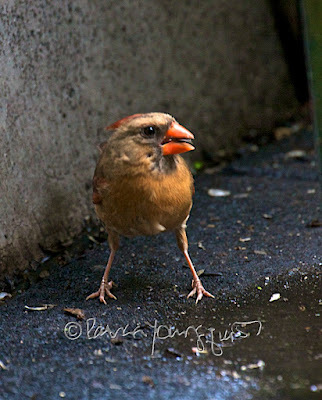 Cam, the protagonist (who is the cardinal featured on the book's cover and in the following pictures taken in my rooftop garden, where her story is set) explains that the reason birds tolerate rain is because they have "something" on their feathers that makes rain drops just slide right off. Cam goes on to say that this "something" on the feathers "is an oil that coats feathers and provides waterproofing, which is important since the only thing worse than being cold, is being cold and wet." 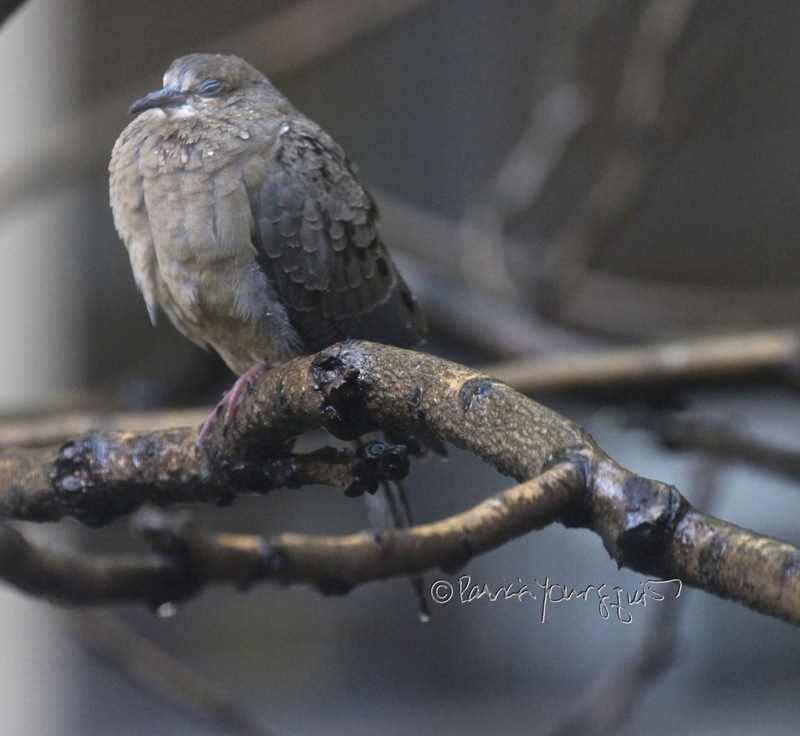 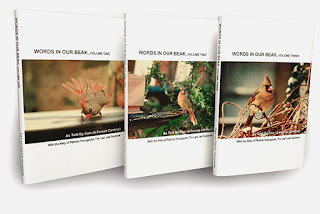 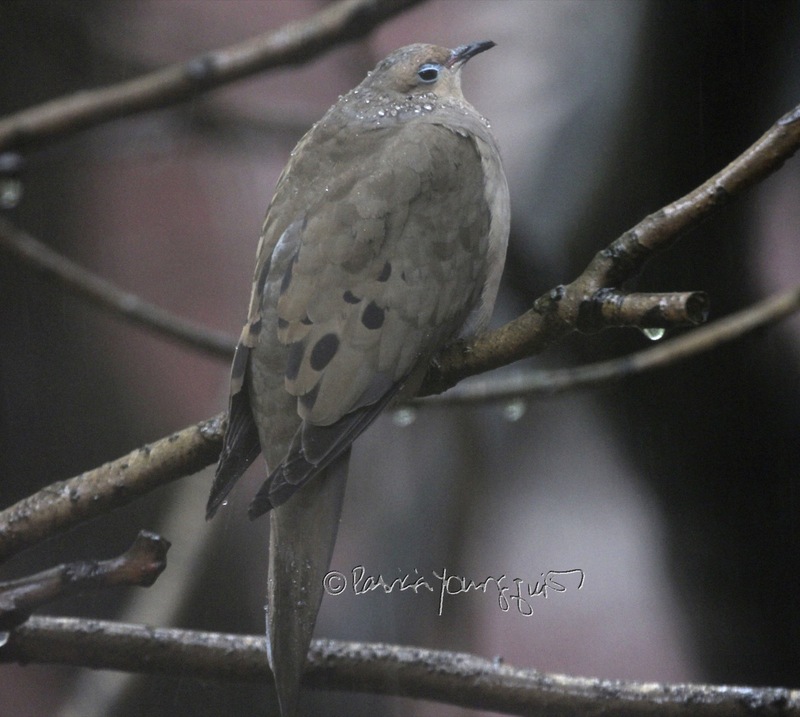 Moreover, in this story, Cam confesses "when it comes to rain, mourning doves (who can be seen in the next set of images) seem to share the philosophy of Henry Wadsworth Longfellow, who is known to have said, 'The best thing one can do when it’s raining is to let it rain.'" 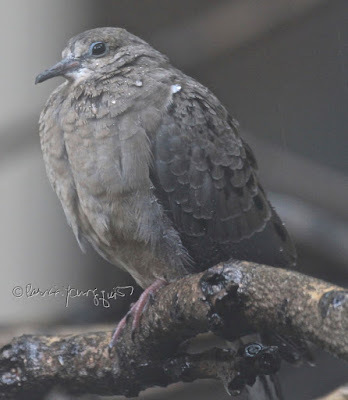 one of the things that Cam does is offer a number of details regarding how other types of weather conditions such as a hurricane known as Super Storm Sandy, a few Nor'Easters, and heavy snowfall) impact the well being of the avian community.